Kingston, Jamaica Information, Travel Tips | Jamaican Airport Shuttles, Transfers &Tours. Kingston is the capital and largest city of Jamaica, located southeastern coast of the island of Jamaica. Kingston faces a natural harbour protected by the Palisadoes, which connects famous Port Royal and the Norman Manley International Airport. Kingston is the largest predominantly English-speaking city in the Caribbean. Attractions include the nearby Hellshire and Lime Cay beaches, the National Gallery of Jamaica, the ruins of Port Royal, and Devon House (A mansion that once belonged to Jamaica's first black millionaire). 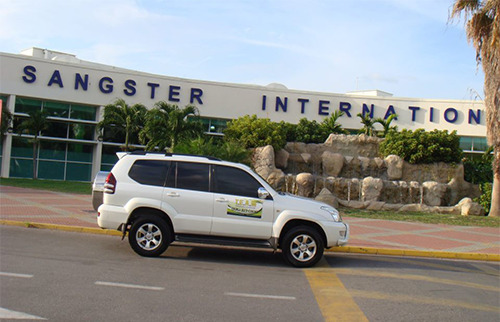 Kingston is home of the Norman Manley International Airport and also has a smaller primarily domestic aerodrome known as Tinson Pen Aerodrome. The Bob Marley Museum is dedicated to Jamaica's world famous singer and songwriter Bob Marley, who is responsible for making reggae music an international phenomenon. This museum is devoted to Bob’s memory with memorabilia of his life and his work. The Bob Marley Museum is Kingston’s most visited attraction. The National Gallery is packed with important art collections that signifies the culture of Jamaica and its people, with displays and works of some of Jamaica's most talented artists, with work by Edna Manley (Wife of former Prime Minister, Norman Manley), Christopher Gonzalez (Bronze statue of reggae singer Bob Marley), and Mallica Reynolds (Religious works exhibit). Devon House is one Jamaica’s most preserved historic mansion that depicts the glory of the good old days. This 18th century house was built by George Stiebel, Jamaica’s and the Caribbean’s first black millionaires. You can also visit the bakery, pastry, restaurant, and craft shops located right on the property. This magnificent Manson is also famous for its delicious Devon House Ice Cream. Hope Botanical Gardens is an picturesque oasis of beauty, located in downtown Kingston, this attraction features well manicured lawns and tranquil gardens, with a orchid house, a forest garden, cactus garden, an ornamental pond, aviary, and a zoo packed with different types of Iguana’s, Monkeys, Snakes, Lion (Leo), and spectacular peacocks. Spanish Town was Jamaica’s first capital between 1662 and 1872. Its interesting architecture is a mixture of Spanish and British Georgian style structures and buildings, The St James Cathedral (The oldest Anglican church outside England, built in 1523), the Jamaican People’s Museum of Crafts and Technology (A showcases of vintage farm implements, musical instruments and pottery), and the Town Square which overlooks the Old King’s House, former residence of Jamaica’s British governors. In the 17 century Port Royal was once the riches city that house pirates known for high jacking Spanish vessels throughout the Caribbean. Henry Morgan, Calico Jack, and Black beard is some of the notorious pirates who resided at Port Royal. In 1692 a massive earthquake and tidal wave destroyed most of Port Royal. Artifacts can be seen at the Museum of Historical Archaeology and the Maritime Museum, a building that tilts at an angle can also be seen, known as Giddy House.